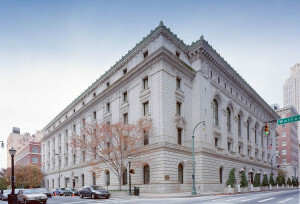 Eight auto body shops in four states received a huge win Thursday as a federal appeals court reversed a lower court decision to dismiss their antitrust, steering and unjust enrichment allegations against the nation’s largest insurer. The Eleventh Circuit Court of Appeals decision could ripple out to the other cases dismissed by Middle District of Florida Judge Gregory Presnell. Presnell, often in conjunction with Magistrate Judge Thomas Smith, consistently declared insufficient evidence to support the shops’ federal allegations that large carriers were conspiring to fix prices and boycott shops and state allegations of tortious interference (“steering”) and receiving services without paying for them (unjust enrichment/quantum meruit). The decision Thursday doesn’t mean the shops win their case; it merely kicks it back to the Middle District of Florida. But given the appellate court’s view that the shops presented a plausible enough case to survive a motion to dismiss, the plaintiffs — and those in the related Crawford case also before the skeptical Judge Presnell — now seem to at least have a good shot at getting their day in court. Judge R. Lanier Anderson filed a lengthy dissent declaring that only the tortious interference allegation met the threshold to stand as a worthy claim — the others were rightfully dismissed. He also felt that Wilson and sitting District Judge Barbara Rothstein’s analysis of why the tortious interference case should stand was incorrect. Anderson argued that while he was willing to accept the shop’s allegations of objectionable insurer behavior — though he questioned the shops’ appellate brief as taking “undue liberties in construing the allegations that can be fairly read from their pleadings” and criticized them for failing to sufficiently amend their original case — he didn’t see how many of those accusations were illegal.